Our mission at Mobile Locks Unlimited is to provide our customers with timely and exceptional service. We achieve that goal by making our customer's security and safety our top priority. Whether you are locked out of your vehicle or your home, if your home or business need re-keyed, or new hardware installed, we'll take care of all your locksmithing needs. A family owned and operated business founded in 2012. Mobile Locks Unlimited is dedicated to serving the lock and key needs of those in the Phoenix, Glendale, Peoria, Maricopa County and surrounding Arizona area. Jonathan Cunningham was introduced to the locksmith industry at the age of 16 where he got his first job in a small lock shop in Kilgore, TX. After working for the small shop for a year he then moved back to his home state of Washington. Finally, after much thought and planning, Mobile Locks Unlimited was established in late 2012. 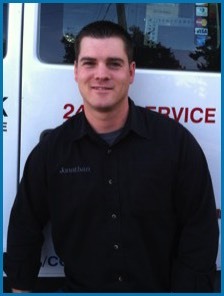 Now, 24/7 Jonathan provides emergency road side service and goes the extra mile to accomplish exceptional customer service.